created numerous heavy actinide isotopes. and from fallout from the coral of a neighboring island. that was not associated with any previous element. that the element with atomic number 99 had been created. 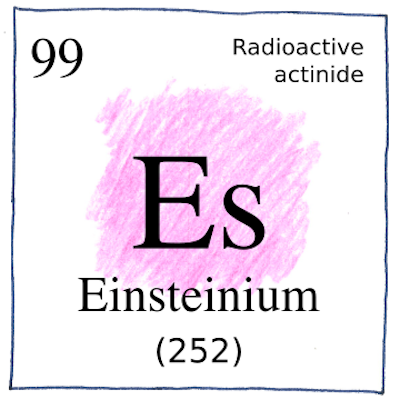 atoms of einsteinium and fermium, is scattered. Rosemary Barrett, and R. A. Glass. Increasingly, discovery became a corporate effort. Each scientist with his or her specialization joined a larger team whose members preform many roles.